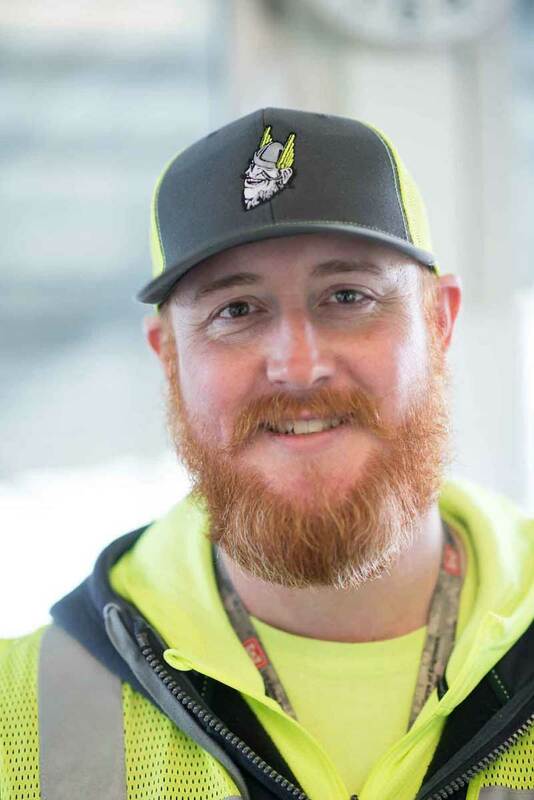 After leaving the U.S. Marines Corps in 2015, Josh Moore needed somewhere he could apply the skills he learned during his service and be close to his hometown. He found those things on the Palouse, and at the University of Idaho. He also wanted his children to grow up close to their grandparents, who still live in Moore’s hometown of New Meadows. Moore worked in aviation supply and logistics work and left the military as a sergeant in May 2015. He's applied these skills while studying natural resources conservation in the College of Natural Resources at the University of Idaho. In 2015, Moore was accepted in the U.S. Department of State Pathways Program, which offers federal internship and job opportunities to students. 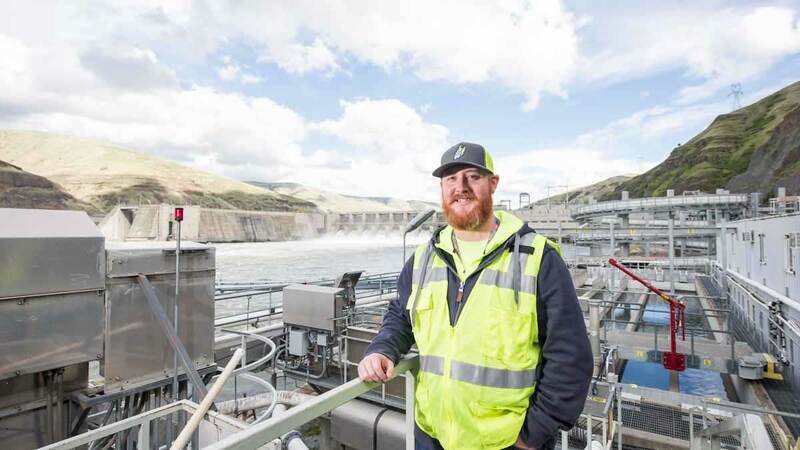 Moore was placed as a fisheries technician at the Lower Granite Dam, just southwest of Pullman on the Snake River, where he worked for the past two summers. After graduating with his bachelor’s degree in May, he will continue at the dam as a full-time employee. Moore said growing up in New Meadows influenced his career choice. Ultimately, Moore would like to move on to another government agency. He also considering a master’s degree at U of I.
Josh Moore at the Lower Granite Dam.